Oh,~ it’s a clothes dryer that will drop. On the left is a live photo, the right side is more clear. Professional sales representatives are full of passion and vitality to explain this fresh product to customers Many customers actively requests the sales representative's business card. 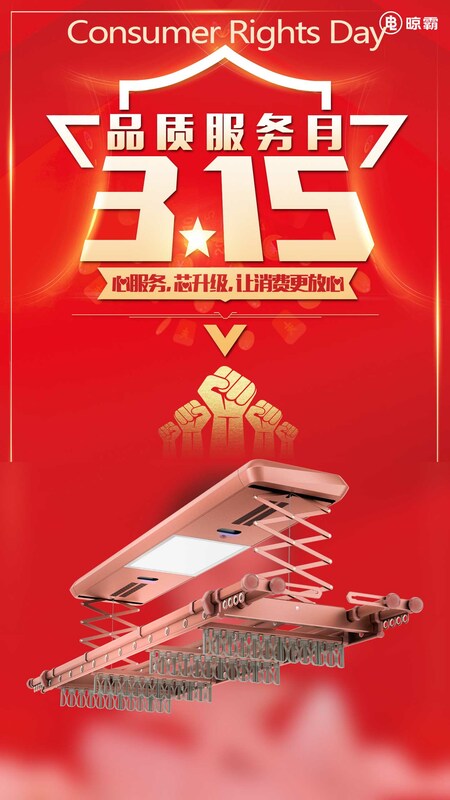 Our boss also came to the scene to cheer for everyone, share his ten years of business experience, analyze the market trends of future home products, and give customers clear sales guidance. 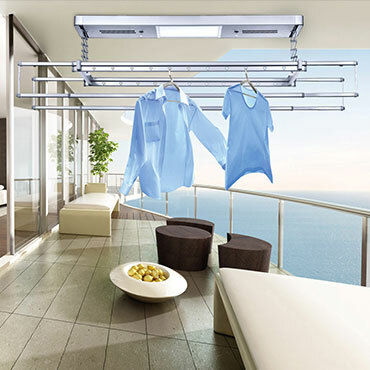 Regardless of function, use, and quality , traditional hand-drying racks have gradually been replaced by electric clothes hanger rack. You seize the opportunity and you are the winner of the future. 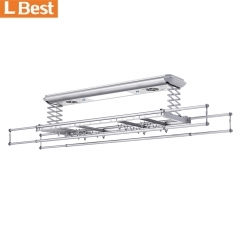 Look at the photo below, we are not selling ladders, this is the drying rack for clothes, it is very strong, our boss stands up is no problem. On-site transaction Taking a group photo LBest insists on service first, the highest quality, the foreign trade team continues to cheer. 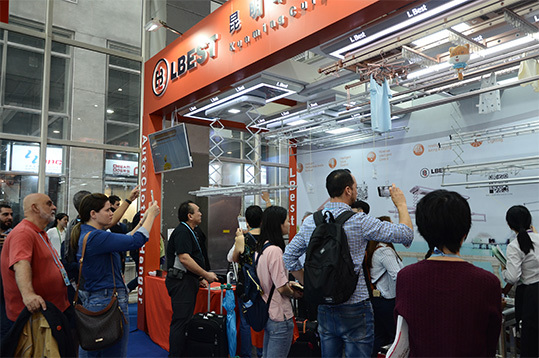 Since2008, LBest has been established for 10 years. Over the pass 10 years, we has never forgotten the support and trust from the dealers all over the world, We will be immersed in providing more high quality products to our dealers in the future. It is a very exciting moment that March finally came, because this is probably the most romantic and lovely day in March-- International Working Women's Day (March 8), Let’s see the happiness and activities first ~~~ The goddess arrived, a gift already prepared!! The famous author Bing xin once said, if there are no women, the world would lose five out of ten "truth", six out of ten "goodness", seven out of ten "beauty".A woman is a daughter, a lover, a wife, a mother...No matter what kind of identity, she would always interpret the true, good and beautiful. As "half the sky" in LBest , Women play different roles in work and life.In ordinary positions, they are dedicated to the good staff; In daily life, they are good wives, good mothers and good daughters. .At the same time they also have the spirit "Being the top one" . there are thousands of women in the world , But women in the LBest are the most good-looking goddess~~~ March 8, is their festival .Under the care of Mr. Chen lingyun, the CEO, and Mr. Cao junhuang, the vice President, the company has planned a happy customized welfare for this group of lovely people!!! Because of you, the world is so beautiful, warm and wonderful. 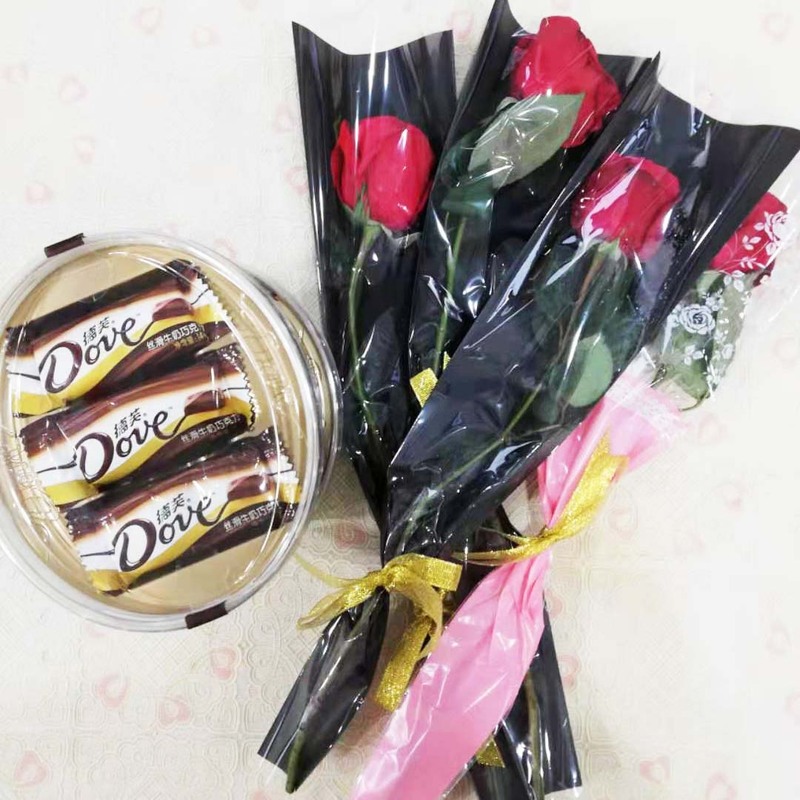 Here are the flowers and chocolates for you with full of blessings. We wish our goddess in LBest youth and glorious. 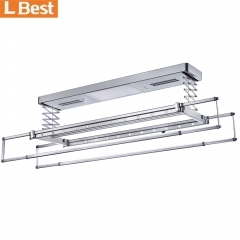 LBest is a warm family. 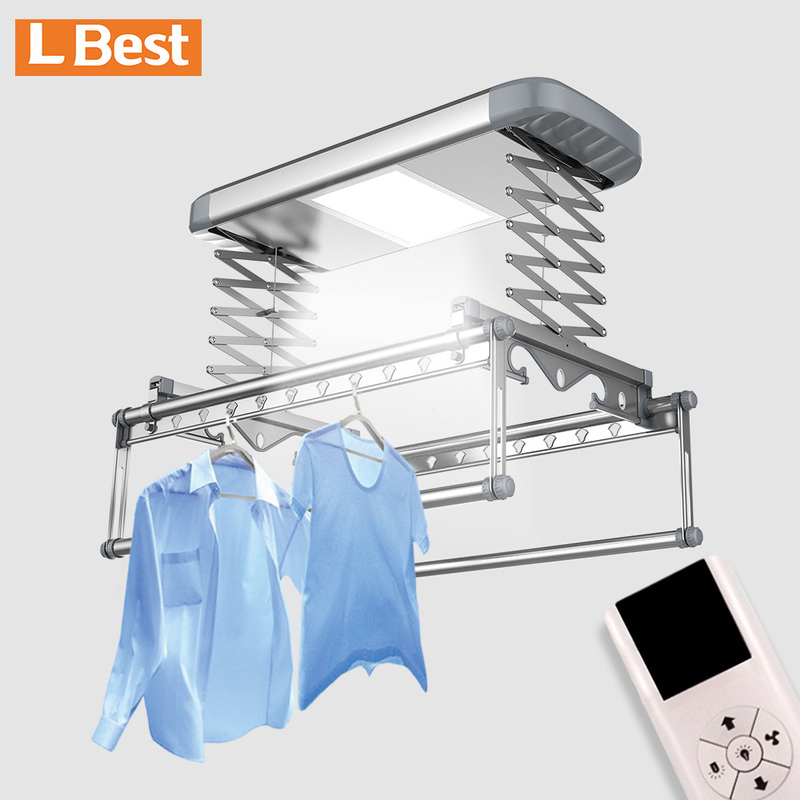 The original intention of LBest to develop and produce the automatic clothes rack is to start from a "love". He hopes that the women of each family can be free and peaceful, in order to break the traditional female to become a slave to housework. 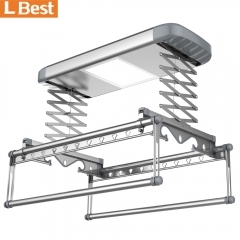 So the first electric ceiling mounted lifting clothes hanger was born. Happy New Year! Today is the Lantern Festival of our lunar calendar. It is the fifteenth day of the first month of the lunar calendar every year. It is the last important festival in Chinese Spring Festival customs. China has a vast territory and a long history, so the customs of Lantern Festival are different all over the country, among which eating Lantern Festival, watching lanterns, dancing dragons and lions are important folk customs of Lantern Festival. Chinese people have the custom of eating sweet dumpling. Sweet dumpling is made of glutinous rice, either solid or stuffed. The stuffing includes bean paste, sugar, hawthorn, various kinds of fruit, etc. It can be boiled, fried, steamed and fried when eating. At first, people called this kind of food "floating dumplings", later called "floating ball" or "sweet dumplings". These names "reunion" sound similar, take the meaning of reunion, symbolizing family reunion, harmony and happiness, people also miss their loved ones and place their good wishes on the future life. In the big family of LBest, the company also prepared sweet dumplings for us at lunch time. Although everyone is in the company, they are as warm as at home. Flower lanterns, also known as lanterns. Lantern is a traditional folk handicraft originated in China. In ancient times, its main function was lighting, which was made of paper or silk as the skin of lanterns. The skeleton was usually made of bamboo or wooden strips. Candles or light bulbs were placed in the middle as lighting tools. 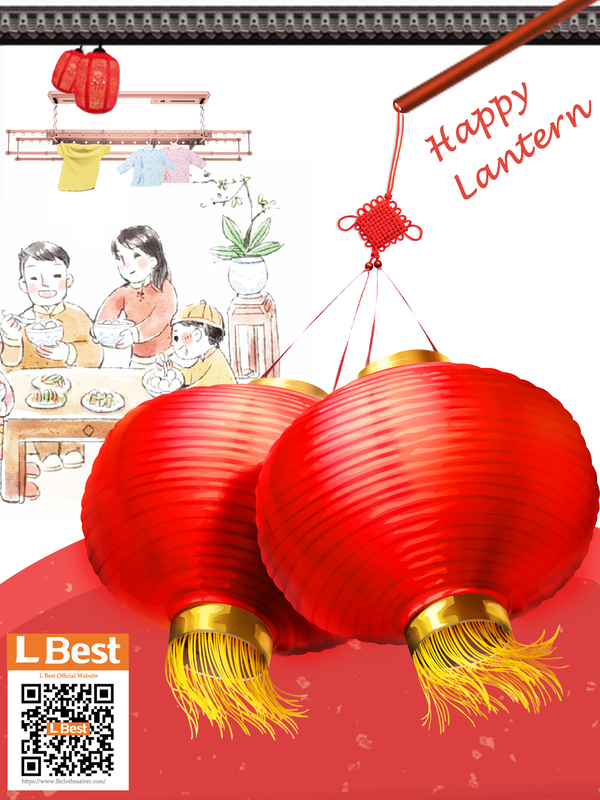 The lantern originated from Emperor Wudi of Han Dynasty who set up altars in the palace on the 15th day of the first lunar month to sacrifice the most noble Sun God at that time. Because it was held all night, it had to light all night, which was the beginning of the lantern node lamp. Dragon dancing is also called "playing dragon lanterns" and "dragon lantern dancing". From Spring Festival to Lantern Festival, dragon dancing is practiced in many places. The dragon represents auspiciousness, dignity and bravery in the Chinese nation and it is also a symbol of power. People use dragon dancing to pray for the protection of dragons on festive days, in order to achieve smooth weather and bumper grain. The main prop of dragon dance is "dragon". The lion is powerful in shape, vigorous in action and changeable in manner. There are many different legends among the people, which turn into myths and history for a time. It adds a lot of mystery to the lion dance and makes it more popular. People believe that lions are auspicious beasts and lion dancing can bring good luck, so every Spring Festival or other celebrations, lion dancing will help pray for good luck in the sound of gongs, drums and firecrackers. A happy day !! come on！！！ on January 28,2019. Hey, there. I am your friend, Lambor :) As Chinese New Year is coming soooon, We called it Spring Festival. So that we will have a holiday from 29 Jan, 2019 to 13 Feb, 2019. It’s half a month that we can not see our colleagues. 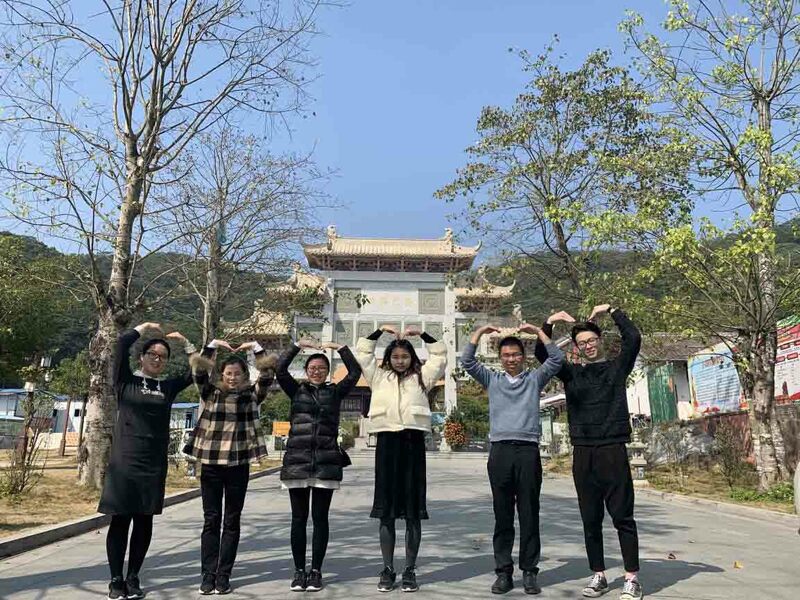 For celebrate Spring Festival and for team work, L Best overseas department decide to go to travel two days. Everyone is exciting but where we go? What we do? Someone said let’s go to climb mountains. Someone said let’s go cycling. Someone said what about sing song? 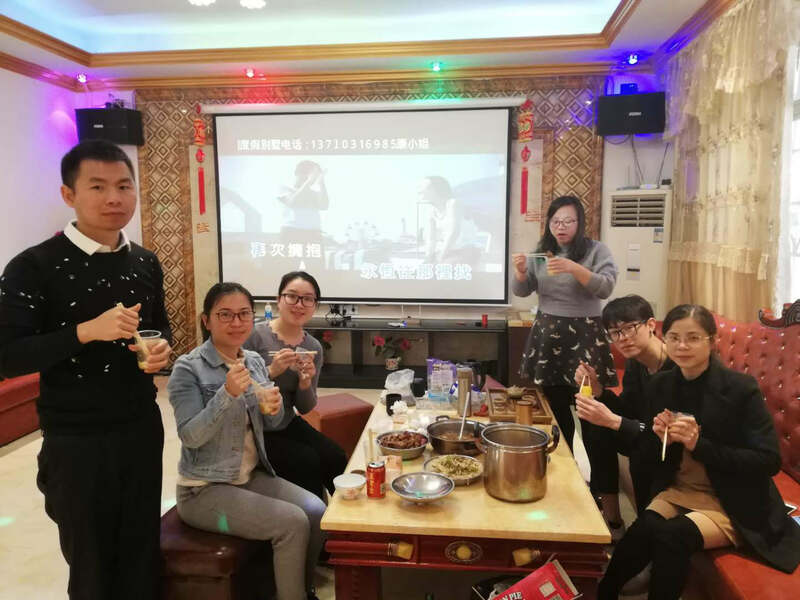 After the furious discussion, finally, we decide to drive by ourselves to Conghua city which is nearly to Guangzhou, hot spring travel area, rent a villa which can satisfy us BBQ, sing songs, enjoy the hot spring. After one hour drive, it’s almost 7 o’clock in the evening. We arrived at the villa we rented. All of us is hungry so we rush to make a fire with charcoal. Lydia and i are responsible for fire. Pauline and Pink are responsible for wash vegetables. Connie and Andy are responsible for sing songs to us to enjoy. Jajaja... After the prefect dinner, we have a singing competition, guess who is the final winner, it’s Lydia, She sings so amazing just as same as the original singer, and make ours motion stay in the songs, being inside. The only one thing so regretful is there is no electric indoor clothes drying rack in villa. 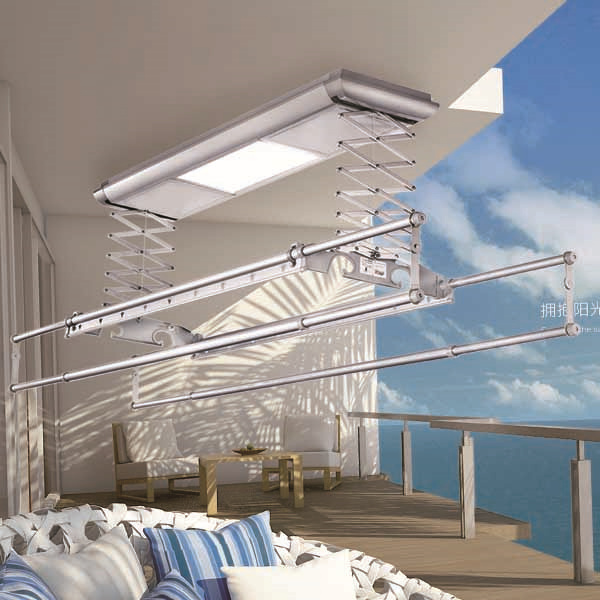 If there is a clothes drying ceiling mounted hanger then it’s all good. It’s a wonderful night and the second morning, we package our luggage and go to the hot spring. Do you know what is hot spring? Hot spring is a kind of spring water. It is a mineral spring water that naturally emerges from the ground. The temperature of the spring mouth is significantly higher than the underground natural spring water of the local average annual temperature, and contains trace elements beneficial to human health. At last, it’s time to go back to Guangzhou. All of us feel happy and looking forward to the next time. Thanks for watching. L Best bring you to know more about China Traditional Culture on January 26,2019. ——L Best intelligent clothes hanger The weather is really good today. Blue sky, slow wind, it is warm and sunny winter at the end of the Chinese lunar calendar. China is a big country, there are many mountains, in some geomantic treasure land, there will have some temple in or near the mountain, and the monks living there. Monks is a sincere person to the Buddha, they are kind-hearted and love peace, they pray every day for happiness and well-being, world peace. Monks will not marry, not killing, no drinking, and vegetarian. Some people with faith of Buddha will go to the temple very often; they go there pray too, be healthy, be happy, all the best in their life and family, especially in some important Chinese traditional festival. In ancient time, Chinese young girls do not have much change to know new friends, especially heterosexual friend, their parents and the young girls will go there pray for a good marriage. Nowadays there are much less people have faith of Buddha and traditions living habit, but in eastern Guangdong, there are few cities we called “Chaoshan” people, they still keep Chinese traditions habit very well. Cultural heritage is important in their life. China is a ancient country, welcome to China and know more about China.L Best's foreign trade department takes a photo here.